It has now been confirmed that Batshuayi and Iheanacho are our top two targets for the summer, and I would be pleased with either of them. I would prefer to sign Batshuayi though, because I think he has massive potential and I have wanted him for so long. If I am being honest, I think we need a minimum of three and a maximum of six or seven. They must be players that will get straight into our starting eleven too. We need game changers now, not squad players like we opted for last season. 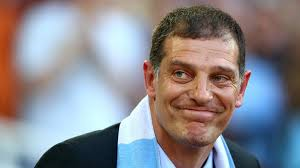 I am glad that Slav is staying. I feel that he deserves to keep his job after all that he had to put up with last season. It is now the boards job to back him in the summer so that he can improve the team. A very good way to kick off our summer business in my opinion. A quality right back with plenty of experience and leadership skills. I am sure he will be a brilliant signing for us. This simply will not happen. Manuel has already stated that he is happy at West Ham, and I see no reason for that to change. He is a massive part of our future, and we have to keep him with us for the long term. Are we running the risk AGAIN about revealing our signing intentions and alerting other clubs or am I being naïve?. I don’t believe we will sign a mass of players as last season .For one thing we are not in Europe and it can be disruptive from a team point of view. David Gold has unfortunately made a statement that no development player will break into the first team squad in the near future. I can understand why he said it ,BUT I wish he hadn’t.